Water Resistant, Durable, & Beautiful! 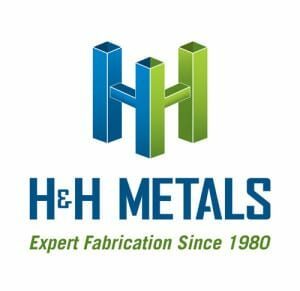 Stainless Steel has it all, and H&H Metals has a deep stock of choices. 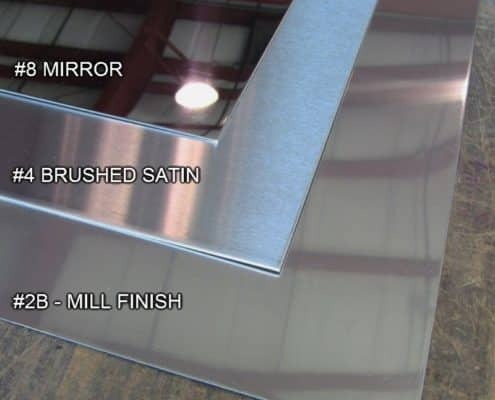 If you are in search of Stainless Steel Sheet Metal in #2B, #4 Satin, or #8 Mirror Polished, we may have what you need. 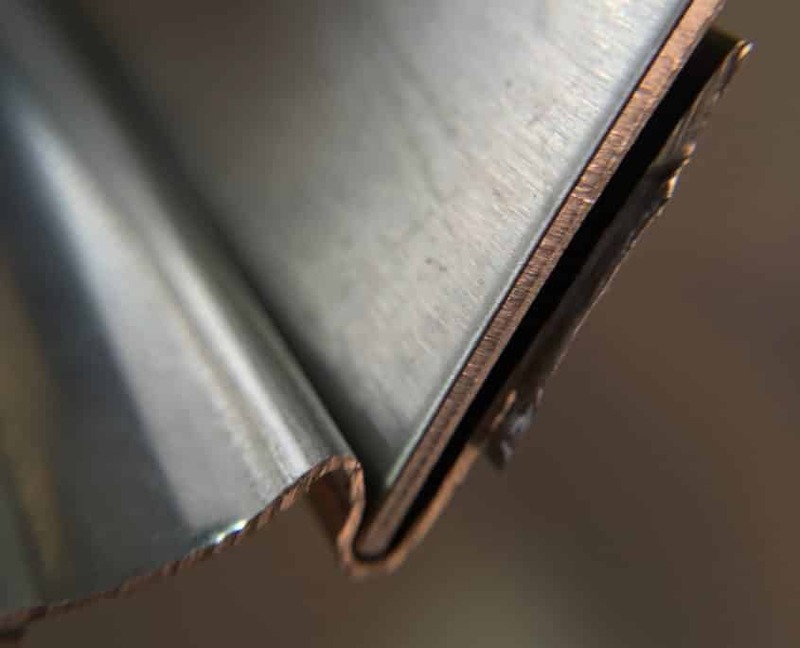 We carry many types of stainless steel sheet metal available for sale as full sheets, or for fabrication. Most of our stainless steel stock is 304 alloy that is common in kitchen and architectural applications, but we do carry some 430 magnetic alloy stainless steel sheets, as well as some 316L stainless steel sheets that are more suitable for marine environments. We also provide stainless steel trim moldings for use in wall protection applications where you need to join panels, create an inside corner, or simply make the edges not so sharp, but sharp looking! This is the case for restaurant kitchens, where a health inspection demands stainless steel walls. 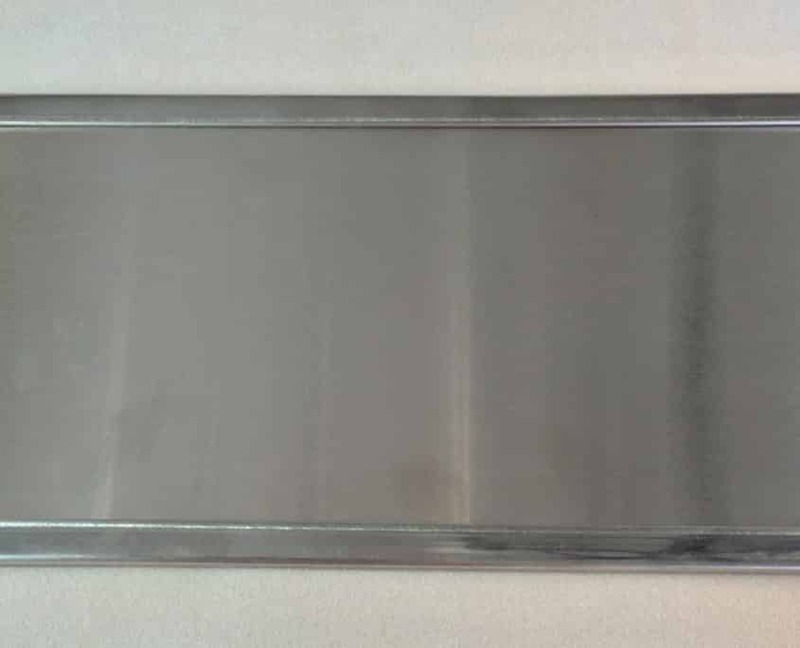 Below you will find a list of normally stocked sizes of stainless steel sheet metal available for purchase. 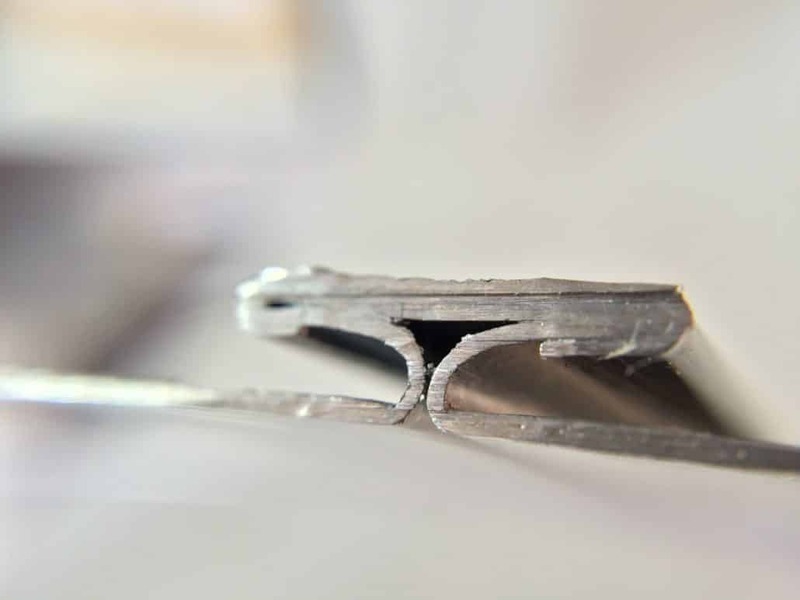 Each sheet is sold individually, or fabricated into custom brake metal or trim profiles of your choosing. Sheets are shipped if needed on flat skids or ordered for will call pickup locally in Thornton, CO. If you do not see what you are looking for please contact H&H for availability and lead time. 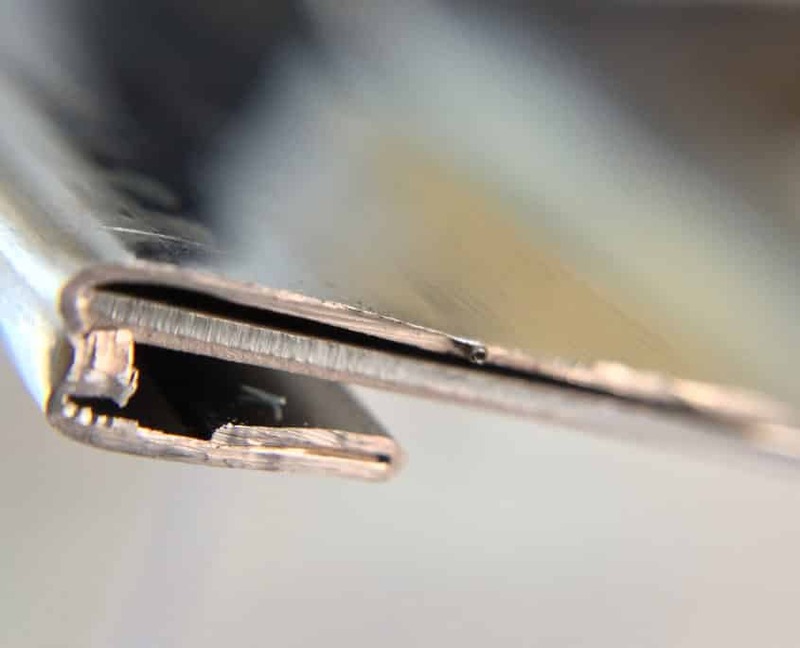 Many of these items are also available on very short lead times in 36″ or 60″ widths and at other lengths. 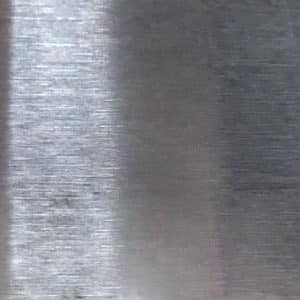 #2B Stainless Steel or Mill Finish Stainless, is used where appearance isn’t the top priority. 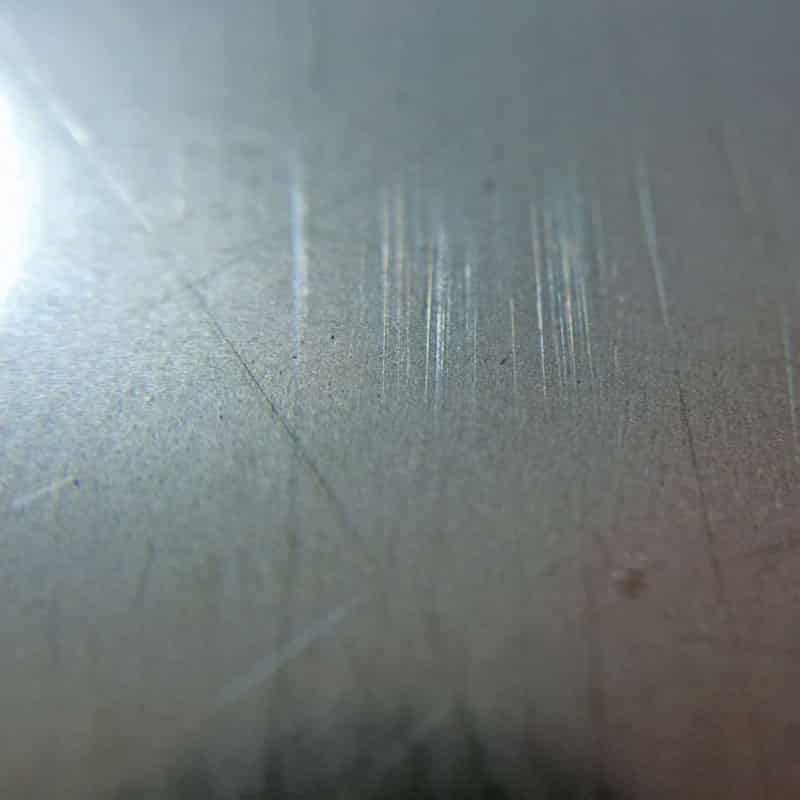 #2B 304 Stainless Steel sheet metal is excellent for areas that require constant corrosion protection. Appearance is a dull grey. These sheets typically do not come with any PVC film, since they are not an architectural product. Uses include: Base Flashing, Washing Equipment. This finish has a linear brushed grain that travels the direction of the material length. 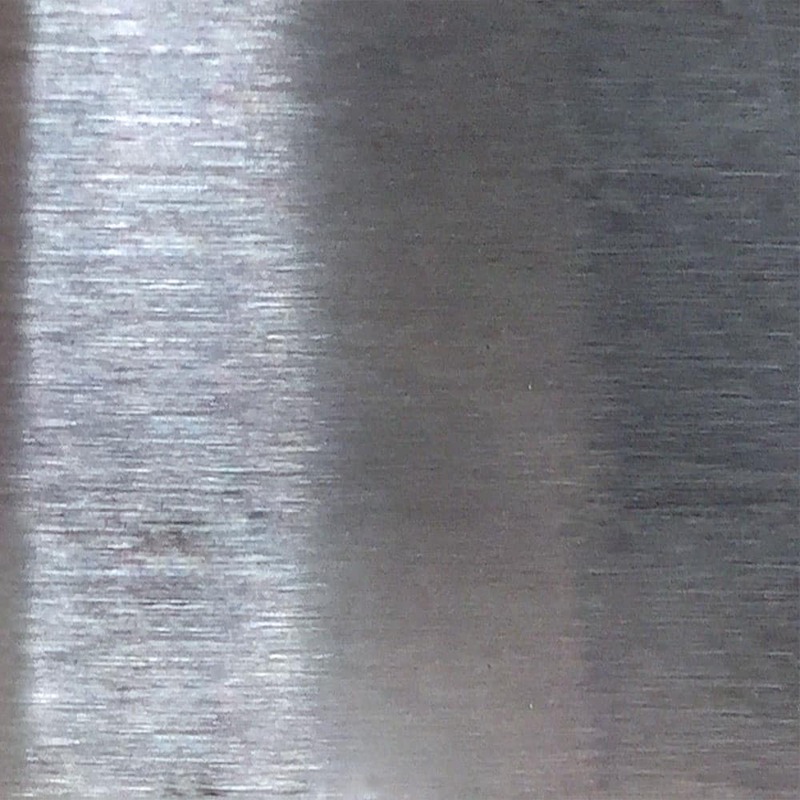 This metal is always identified as the metal used in kitchen appliances, but is also common for when appearance and durability is paramount. 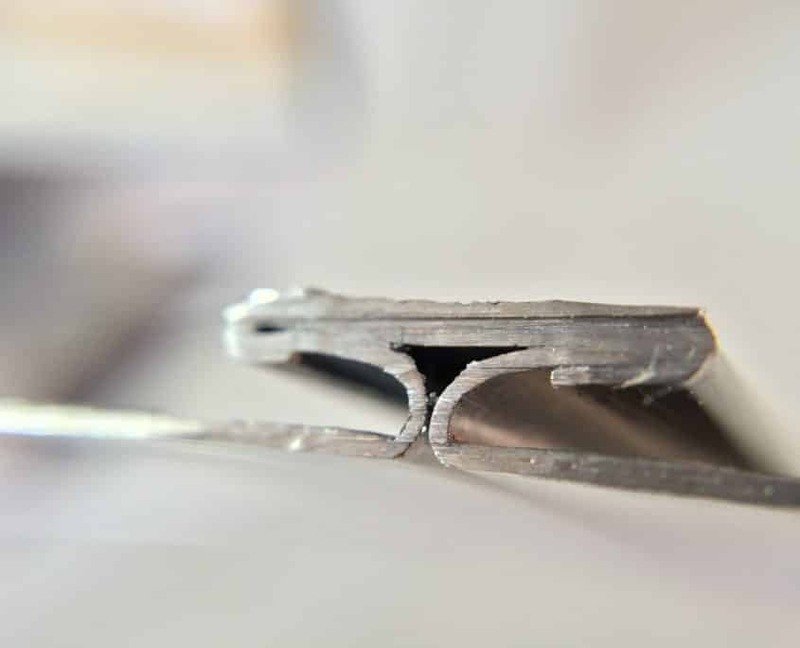 304 alloy is a non-magnetic alloy and is more common, and 430 is a magnetic alloy that is also used in kitchen applications where magnets may need to stick. Appearance is a satin silver with linear grain brushed into surface. These sheets typically come with a PVC film either in Black/White color, or Laser Quality for those parts that require laser processing. This highly polished finish is mirror like, with a very faint linear brushed grain that travels the direction of the material length. 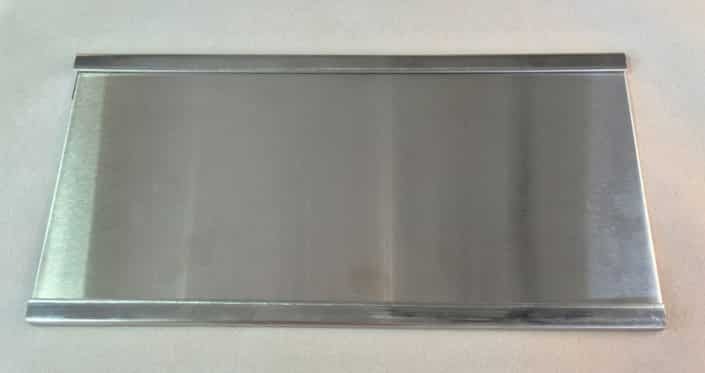 This metal is popular for malls and other settings where an architectural a mirror like appearance is paramount. 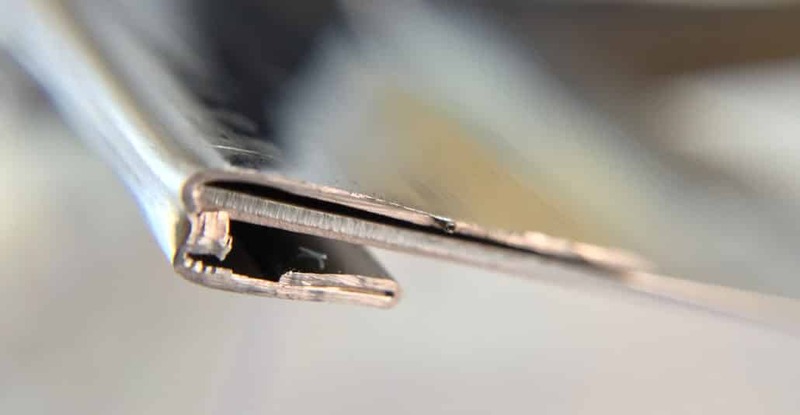 Because the finish is so highly polished, thinner gauges are not available. Appearance is a shiny silver with linear grain brushed into surface. These sheets come with a PVC film to protect the surface from scratching. 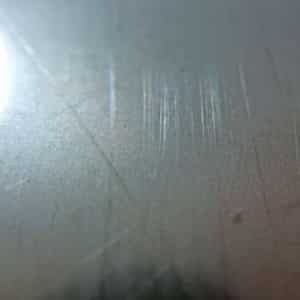 In some applications, this PVC film is double applied to provide superior scratch resistance. Uses include: Architectural applications, Trade Show booths. 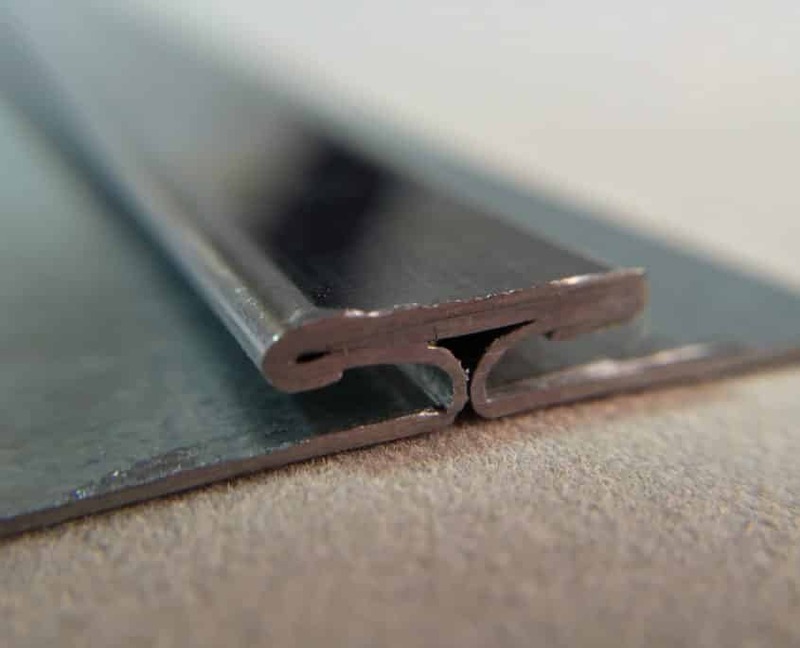 Moldings are available in 8′-0″ and 10′-0″ lengths in 27 gauge #8 Finish. 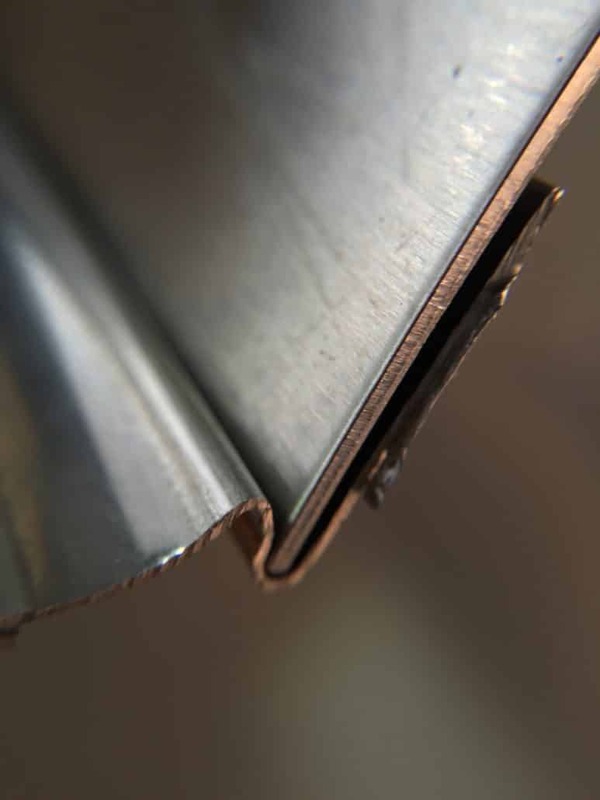 These moldings are used to cover and protect sharp edges of sheets being mounted to walls.